The Jericho Creek marks the western boundary and the Old Toll Road sets the eastern border of the vineyards. The hallmark of the 50+ acre site is a 500 foot vertical drop from its northern to southern border. The new Calistoga District growing region rises from the valley floor up to 880 feet. 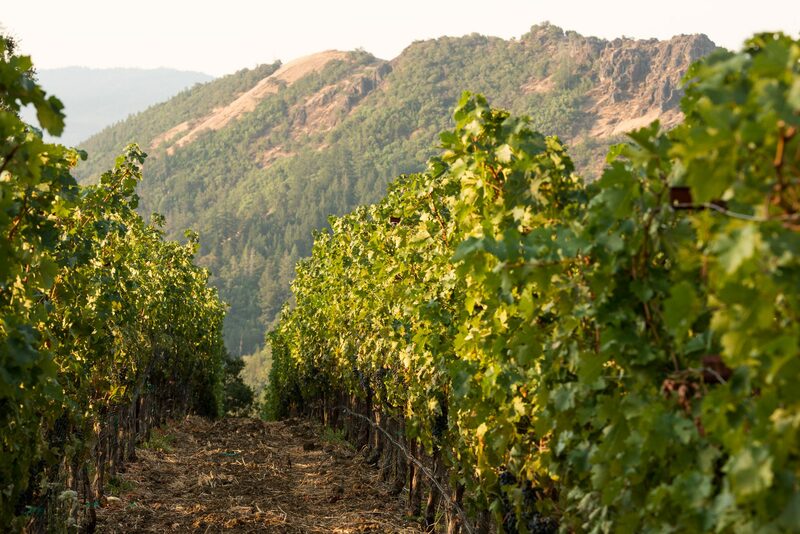 As stated in the Federal Register upon the announcement of the new AVA, “ the 880-foot elevation line, beyond which lies rugged, unplantable terrain, defines Calistoga’s eastern limit…” We beg to differ! Starting at approximately 1000 feet and quickly rising to their maximum elevation of 1500 feet, the vineyards are perfectly representative of a true mountain terroir. The fruit is a perfect reflection of those characteristics.